The Sicilian capital of Palermo borders the Tyrrhenian Sea on the northwest coast of Sicily. It’s the heart of Sicily’s economy, culture, and tourism scene, with a UNESCO World Heritage designation and numerous historic and architectural sites to see. This 6.4 km run hits most of the top destinations, on some of the city’s prettiest streets. Start from the Palazzo Reale-Orleans station and run around the Norman Palace. From here, run east on Porta di Castro to the Torre di San Nicolò di Bari and the Chiesa del Gesù. At Via Maqueda, turn LEFT up to Costantino Palace then RIGHT onto Vittorio Emanuele to Palazzo Isnello. Loop to the Palazzo Cefalà and Fountain Garraffello, then head north on Via Roma past Palazzo delle Poste to Via Cavour. 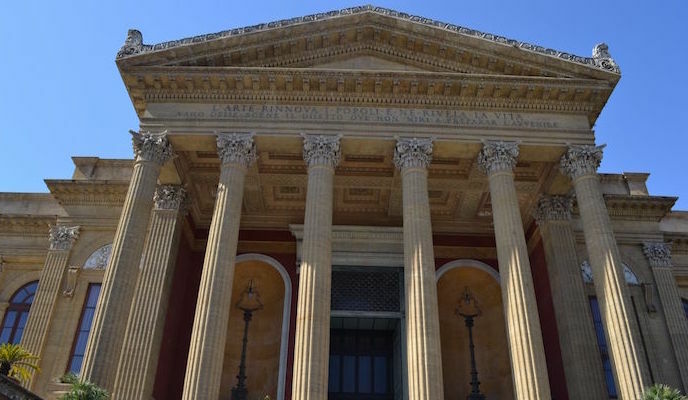 Turn LEFT at the Teatro Massimo (famous from The Godfather III), and then pick your way back on side streets to the Cattedrale di Palermo, which will return you to the start. Just be advised the streets of Palermo (like most streets in Sicily) can be narrow and heavily trafficked, and there aren’t always sidewalks. The best time to run is early in the morning, or on a Sunday, when things are a little more quiet.